Among the holy grail of Pokemon cards. Presented here is a highly elusive Thick Stamp variation of the iconic Pokemon character. The 'Thick Stamp' variation comes from one of the very first print runs of the prominent 1st edition issue; making the offered '9.5' one of the very first and finest examples to ever hit the open market. 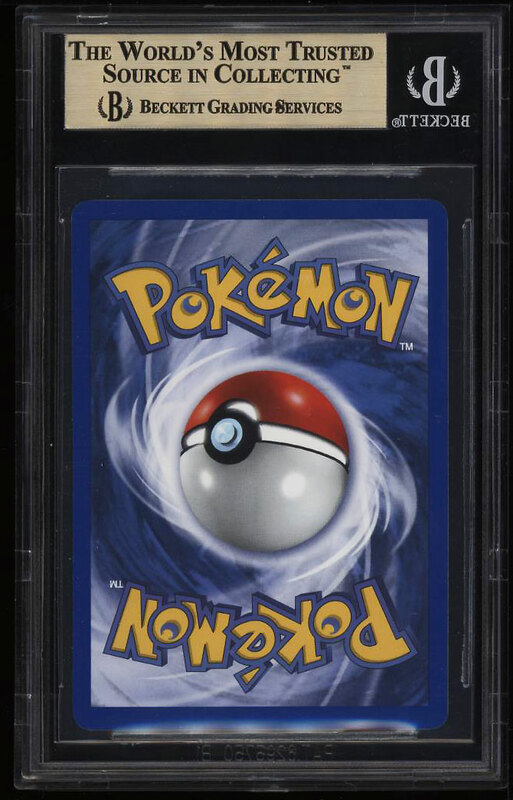 Seldom in high-grade; With the combination of Pokemon cards having condition sensitive borders that are susceptible to chipping, and the fact that the cards are actively used in the game, high-grade examples are virtually impossible to locate. The Charizard character is said to represent strength and power; a true representation of the renowned dragon. The card itself is nothing short of breathtaking and displays no-doubt GEM MINT presentation with glistening surfaces and vivid color. Beautifully framed with untouched corners and smooth edges. Shows perfect registration to boot. This card is only deserving of the finest portfolio and represents a sound non-sport investment commodity. We are proud to offer this rare piece to the Pokemon and investment community, free of reserve. 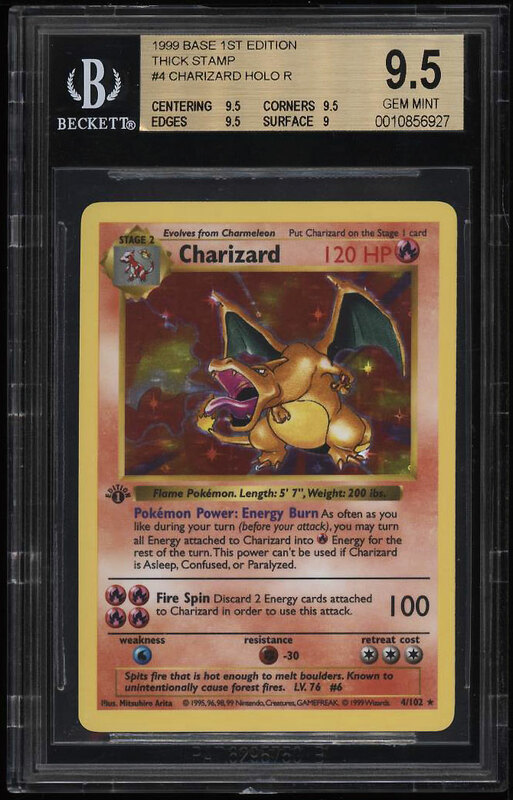 Part of an extensive run of high-grade Pokemon examples on the auction block this month. One of over 16,000 cards, lots and sets up for bid in our 1st Auction of 2019. Click on the link above to view the other PWCC auction lots.